After a long day on the trail your body deserves a good night’s rest. You can make sure you stay comfortable and warm by using one of the lightweight sleeping pads covered in this review. 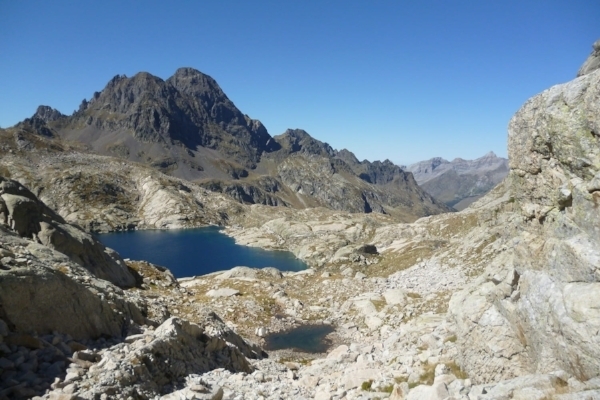 Your enjoyment on a multi-day hiking trip can rest heavily on being able to get a comfortable night’s sleep. In days gone by, backpacking sleeping pads used to be bulky to pack, heavy to carry, and thin on comfort. But with dramatic improvements in design and materials, the industry’s top sleeping pads are now lightweight, durable, compact, and - best of all - they are comfortable! Below, we review the best backpacking sleeping pads currently on the market. 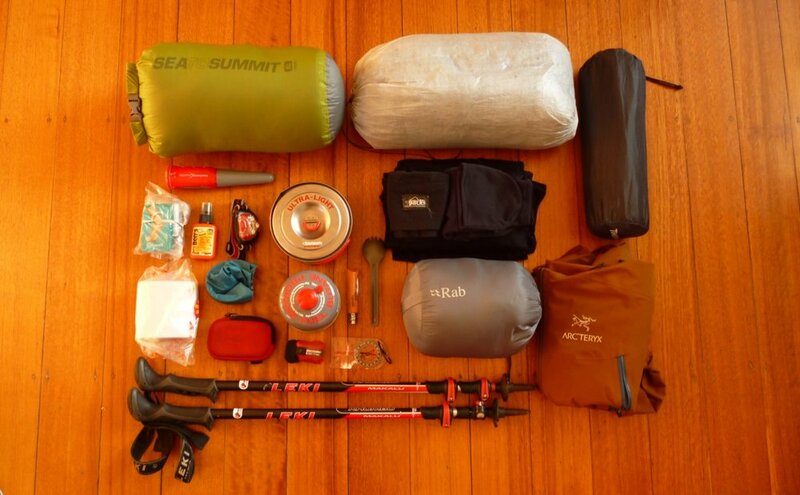 All our entries are high quality, lightweight, air pads designed for multi-day backpacking trips. We focus only on air pads because we believe they provide the optimal balance of comfort, weight and durability. Note however that two alternatives to air pads are self-inflating pads, and closed-cell foam pads. Self-inflating pads are slightly more durable than air pads, but we believe their weight penalty is too large to justify their use. Closed-cell foam pads are generally much more durable than air pads (since they cannot be punctured!) and sometimes slightly lighter, however, they are far less comfortable and they do compress over time. Most manufacturers of air pads have lightweight inflation sacks that make the task of inflating the pad far less painful! The air pads in our list below predominantly consist of an air pocket thick enough to protect even a side sleeper from the dangers of the hard ground below. Most are at least an inch thick, so that they keep your hip, knees, feet — and any other limbs you can think of — floating in a cloud of comfort. The majority of them use innovative designs to help insulate you from the cold ground, and modern materials that are both lightweight and packable. Whatever you decide, happy endeavours out on the trail! The Therm-a-Rest NeoAir XLite is extremely popular amongst backpackers and for good reason. Most backpackers would agree that this sleeping pad is hard to beat when it comes to balancing comfort, weight, warmth and packability. And we agree. If you are after a backpacking sleeping pad for use only in temperatures above freezing, then the NeoAir XLite is our top choice. At 2.5 inches thick, the NeoAir XLite is thick enough to shield even a side sleeper from the hard ground. To ensure this pad remains ultralight and packs down small, the NeoAir uses a tapered cut. We find that we can slip off the pad a little bit during the night — particularly if sleeping on sloping ground — but for the most part the width of this pad is enough to ensure a comfortable night’s sleep. If you are a tall (e.g. 6 foot or taller) then consider sizing up to the large length — this will help ensure your feet stay insulated during the night. Keen to see this sleeping pad in action? Then check out this short manufacturers vid. The NeoAir XLite has an insulation rating (R value) of 3.2. Although this is not the warmest sleeping pad on our list, it is suitable for most three-season backpacking trips. However, since women generally sleep slightly colder than men, Therm-a-Rest now also make a women’s version of the regular XLite, that is slightly shorter (66 instead of 72 inches) and slightly warmer (R value of 3.9 instead of 3.2). Alternatively, if you plan to use your pad in high alpine areas, cold weather, or you generally sleep cold, then consider purchasing the NeoAir XTherm instead — see our review below. The NeoAir XTherm has the same dimensions as the XLite, but it is a much better insulated sleeping pad and only slightly heavier. Potential downsides of the NeoAir XLite are that it is relatively expensive and the ultralight materials are slightly noisy to sleep on. The noise issue is widely talked about, but in our opinion it is an issue that is slightly overrated. It is true that the NeoAir XLite may be slightly noisier than some of the other inflatable pads on this list, but this “crinkliness” does fade over time. Nonetheless, to try and solve the problem, Therm-a-Rest have attempted to use softer fabrics on the latest model. In any case, rest assured, that the “crinkliness” isn’t even close to being a deal-breaker in our view. The Therm-a-Rest NeoAir XLite is still our top choice for warm and mild weather backpacking. To get around the tiring task of having to inflate the NeoAir XLite using your own lung power, consider a Therm-a-Rest NeoAir Pump Sack. These retail for US$30 and weigh in at 3.5 oz (100 grams). The Sea to Summit UltraLight Insulated Sleeping Pad is the front line contender to the Therm-a-Rest NeoAir XLite when it comes to the best three-season mat. Although not as ultralight at the Therm-a-Rest NeoAir offerings the Sea to Summit UltraLight is — arguably — a more comfortable pad. Instead of using several large air chambers (i.e. baffles), the Sea to Summit design is based on hundreds of small air sprung cells. These cells are intended to mimic the springs of your mattress at home, assuming you have a pocket sprung mattress at home and not, say, memory foam. The design does give Sea to Summit a small edge in terms of comfort, but at the expense of a noticeable weight penalty. Although the Sea to Summit UltraLight Insulated is slightly heavier than the NeoAir pads, it is also slightly wider around the upper body and shoulders, providing an extra 1.5 inches / 4 cm at the widest point. This may make it an ideal choice for people with a bigger frame. Albeit, this extra width is only true for the regular size. If you’re going to be reaching for the large version of one of these pads, then the differences in dimensions are almost negligible. When it comes to the large sizes, the Therm-a-Rest NeoAir XLite and the Sea to Summit UltraLight Insulated are almost on par, with the Sea to Summit pad being just 2 cm longer and 1 cm wider than it’s competitor. Another downside of Sea-to-Summit UltraLight is that it is only 2 inches (5 cm) thick. This is slightly thinner than the 2.5 inch thick NeoAir pads. This is still thick enough to shield most hikers — especially back and front sleepers — from the hard ground underneath during the night. But when sitting up and/or sleeping on your side, this difference in thickness can be noticeable. If you are a side sleeper then our recommendation would be to go with one of the slightly thicker Therm-a-Rest NeoAir offerings. it comes with a pump sack integrated into the bottom of the stuff sack! At the end of a long day on the trail there is undeniable joy at not having to blow up your pad using lung power. So, if you are willing to trade in weight savings for cushy comfort, hate crinkling noises during the night, want to save a few dollars, or want to get a few extra centimetres of width then the Sea to Summit UltraLight Insulated is definitely worth a look in. The Therm-a-Rest NeoAir XTherm is one of the most versatile and best performing sleeping pads on our list. The NeoAir XTherm is the warmer (i.e. better insulated) sibling to the NeoAir XLite. Both models have the same dimensions (see our review of the XLite above for more on those details). However, the XTherm is rated with an R value of 5.7 (vs the XLite’s 3.2), meaning it should be super toasty on any summer backpacking expedition and even keep you comfortable well into the shoulder season. The obvious downside of this additional warmth is the extra weight. However, the weight penalty is surprisingly minimal. The regular sized NeoAir XTherm weighs in at 15.2 oz (430 grams), which is only 3.2 oz (90 grams) heavier than the XLite. It is also lighter (and much warmer) than most of the other three-season sleeping pads on this list. If you are looking to purchase only one sleeping pad, and there is a chance you may want to use it in conditions near or below freezing, then we recommend going with the NeoAir XTherm. We also highly recommend it for those hikers who sleep cold. If you usually opt for a slightly warmer sleeping bag then this is your sleeping pad to match it. 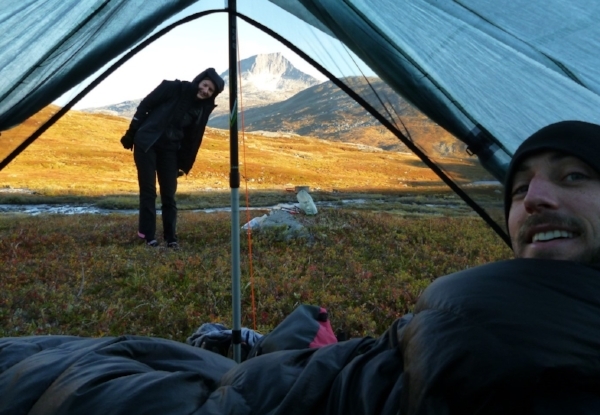 Note that if you plan to use your sleeping pad in full winter conditions (e.g. on snow) then you may still need to boost the NeoAir XTherm by adding a closed-cell foam mat underneath. In fact, for seriously cold ground we recommend this double layer approach since a puncture to your inflatable mattress could be life threatening if you are sleeping out on snow. A closed-cell foam mat provides a second layer of defence in such conditions. As mentioned in our review of the XLite above, if you want to get around the tiring task of having to inflate your NeoAir using your own lung power, then consider purchasing a Therm-a-Rest NeoAir Pump Sack. These retail for US$30 and weigh in at 3.5 oz (100 grams). Therm-a-Rest have taken their uber-popular NeoAir design and packaged it up in the lightest version yet. The Therm-a-Rest NeoAir Uberlite weighs in at just 8.8 oz (250 grams) for the regular size. That is crazy light for a 2.5 inch thick full length air pad! The NeoAir Uberlite may well start to redefine what seriously ultralight sleeping pads can look like. Until now, purist ultralight hikers would generally use closed-cell foam sleeping pads since they are lighter than the lightest inflatable air pads. But at 8.8 ounces the NeoAir Uberlite may begin to change that. Of course additional weight savings have to come from somewhere. To get to its ridiculously low weight the Uberlite sacrifices durability and insulation. The Uberlite does not include the so-called “ThermaCapture” layer that is found in the NeoAir XLite and NeoAir XTherm. The ThermaCapture layer acts acts as an insulating barrier, radiating heat back towards your body rather than letting it escape through the ground. Without it the Uberlite’s insulating properties are inferior. Sleeping pads are rated in terms of their insulating properties using something called an “R value”. The higher the R value, the better the sleeping pad will be at insulating your body from the cold ground during the night. The R value for the Uberlite is 2.0 which is less than the NeoAir XLite’s value of 3.2 (our top pick overall) and much less than the NeoAir XTherm’s value of 5.7 (our top pick for colder weather). With an R value of 2.0 we would only recommend using the Uberlite in overnight temps of 50°F / 10°C or above, unless you use a closed cell foam pad underneath it. The Uberlite also makes some compromises in terms of durability. It is made using a 15 denier nylon fabric. This is thinner than the 30 denier fabric used on the XLite. We’d suggest only using the Uberlite on a ground sheet of some form (e.g. inside a tent) and treating it with some care. Aside from its durability and insulating properties, the Uberlite is otherwise very similar in design to the NeoAir XLite. That means it is a thick comfortable air pad suitable for side, back or front sleepers. An upside of removing the ThermaCapture layer is that the Uberlite doesn’t have the same “crinkliness” that the NeoAir XLite is famous for, making it much quieter to sleep on. It may not be as versatile as the XLite and XTherm, but the Therm-a-Rest NeoAir Uberlite is a seriously ultralight air pad that is hard to beat for warm to mild climates. The Sea to Summit Comfort Light Insulated sleeping pad is a slightly thicker and warmer alternative to the Sea to Summit UltraLight Insulated pad described above. We believe that the Sea to Summit Comfort Light Insulated is likely to be the most comfortable sleeping pad you can get your hands on. This pad is 2.5 inches thick, so it is thicker, more cushy, and more comfortable than Sea to Summit’s UltraLight model. It also matches the Therm-a-Rest NeoAir XLite for thickness, but due to it’s small air cell design, we believe it is more comfortable than the NeoAir. It has a slightly higher insulation rating, meaning that it is warmer than both the Sea to Summit UltraLight model and the NeoAir XLite. With an R value of 4.2, it may be ideal for cold sleepers. But it is unlikely to be warm enough for any winter or serious cold weather use. Also note that the Therm-a-Rest NeoAir XTherm is both better insulated and much lighter, so warmth is unlikely to be the main motivation for purchasing this pad. The main motivation for purchasing this pad is going to be comfort. But the real downside of the Sea to Summit Comfort Light? The regular size weighs in at 21.8 oz (618 grams), so when compared to the NeoAir Xlite’s 12 oz (340 grams), the weight penalty becomes an issue for us. Nonetheless, if you are a side sleeper and/or someone who prioritises comfort over weight, then the Sea to Summit Comfort Light Insulated could be just the sleeping pad you’ve been looking for. Rolling in at US$100 for the regular size, the REI Co-op Flash Insulated is the cheapest sleeping pad on our list. This pad may be slightly cheaper than the top name-brand pads, but it doesn’t sacrifice much in terms of comfort or performance. The REI Flash Insulated uses the same cell-type structure as the Sea to Summit UltraLight Insulated pad, in an attempt to provide spring-like comfort. It is also the same thickness as the Sea to Summit offering, meaning that it might not be the best choice for side or restless sleepers. We don’t believe that REI Flash is quite as comfortable as the Sea to Summit UltraLight, but it comes close. It is also quite a bit lighter and cheaper than the Sea to Summit pad, so it is a strong competitor. The weight savings however are in part due to thinner materials, so this pad may be slightly less durable that it’s main competitor, and a slightly narrower upper body. Although the specs of this pad don’t quite compete with the Therm-a-Rest NeoAir, and the comfort factor doesn’t quite match that of the Sea to Summit UltraLight, this pad isn’t far off the category leaders. If you are on a budget and looking for a reliable lightweight sleeping pad for three-season use, then the REI Flash Insulated pad is still a solid choice. A note of warning though. This pad doesn’t come with a repair kit included — you will need to purchase one separately. REI sell them for $6. So be sure to purchase one, since it could prove vital on the trail!